It's conference season again! Developers from NIPO Software were in Build 2014 and NDC Oslo 2014 last year. This year we'll be at NDC Oslo again but this time I myself will be heading to DevIntersection & AngleBrackets joint conferences. Norwegian Developers Conference (NDC) is I think one of the best and I'd really enjoyed it last year. But change is good. Following a deep consideration I reckon that I can't go to Norway again... Not after all those shrimps I had to sit face to face in Oslo (see OsloFjord Cruises). My friend Bjorn is very disciplined about reminding that to me consistently. ASP.NET, Visual Studio and Azure intersections are grouped together since they're highly related to each other. 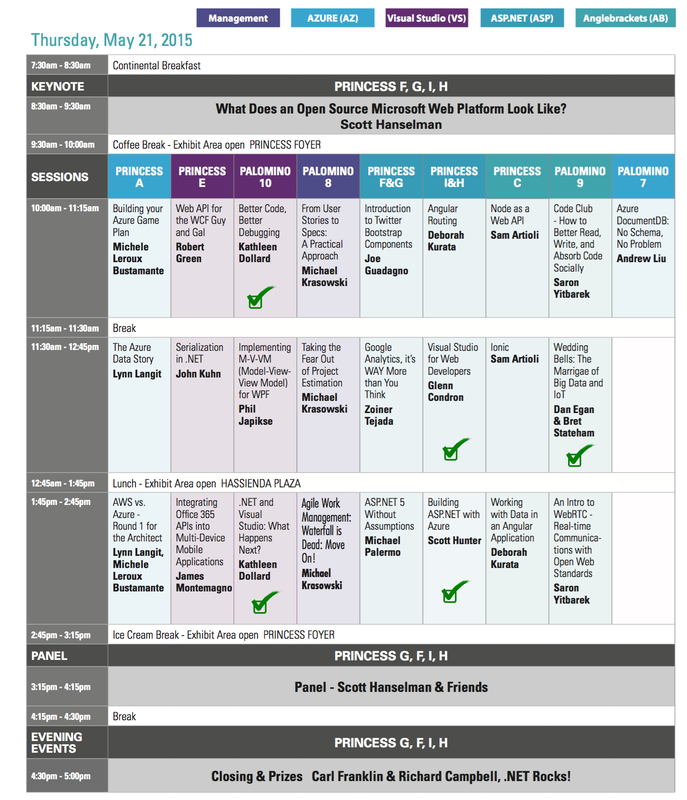 This group of tracks will be my main interest in Phoenix together with the bonus open web event: anglebrackets. An exciting aspect of DevIntersection 2015 is that it's the first conference after Build 2015 at which Microsoft made a number of big announcements. There's a more detailed list and link aggregation about Build 2015 here and here which I highly recommend. We invite you to the most dynamic developer event in our industry at the next DEVintersection, May 2015. This event is POST BUILD and IGNITE which will allow our presenters to go deep into the new releases and technologies announced. We will focus on Visual Studio, ASP.net, HTML5, Microsoft Azure, XAML, ALM, Architecture, Design and in the bonus co-located open web event anglebrackets we feature Angular JS, HTML5, CSS, Java Script, SPA, SEO, Speech enabled Mobile Apps, Design and much more. 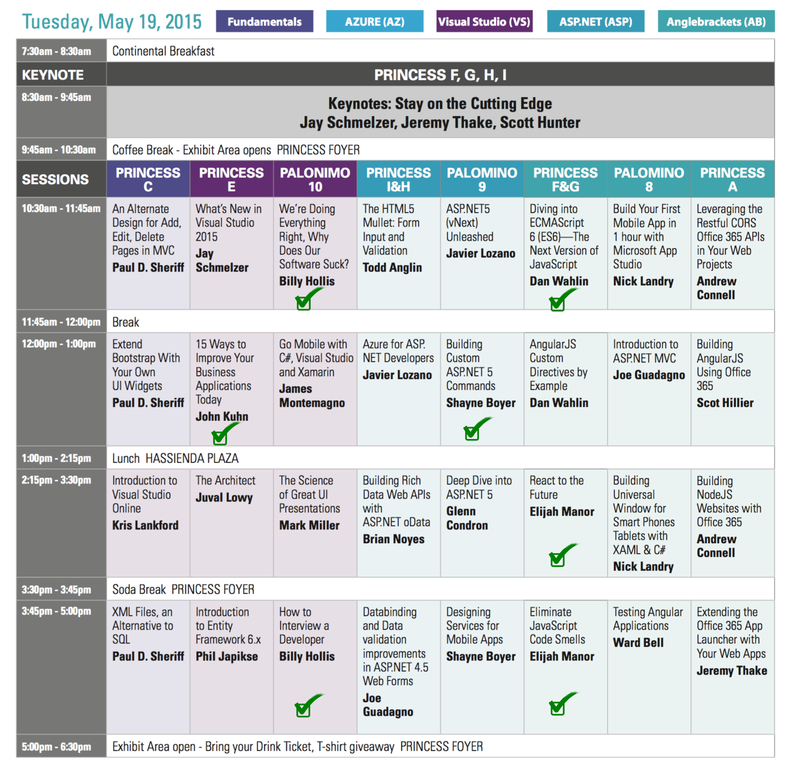 I'll be attending three workshops. Two of them are before the conference and last one is after the conference on Friday. Each workshop is a day long. 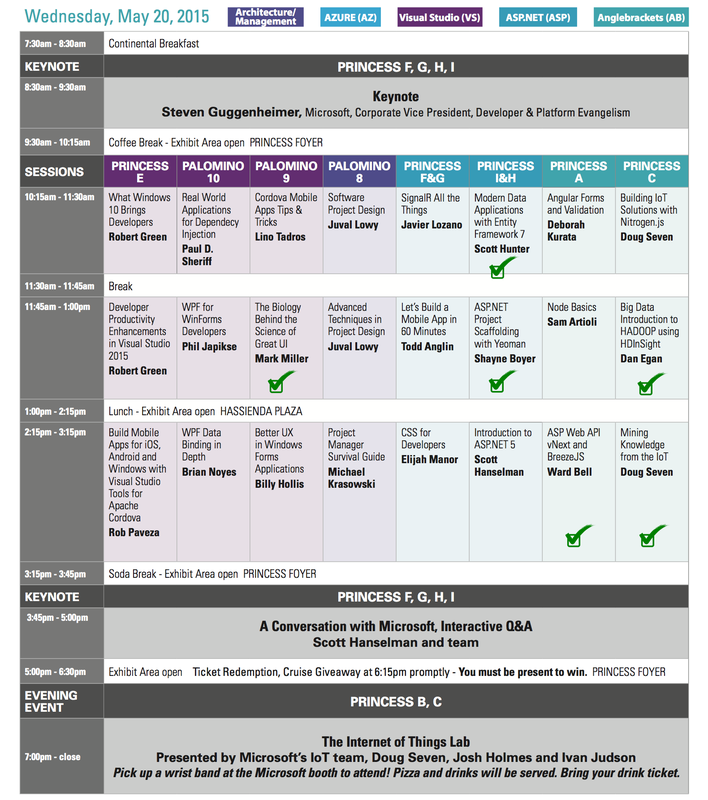 And for the conference itself, I've looked at the schedule and marked the sessions I'm interested in so far. For a number of slots I've picked more than one session for now - I'll have to pick one of them on the spot. As usual I'll be sharing my experiences from the event on twitter and facebook. You can follow me on twitter using @hakant. 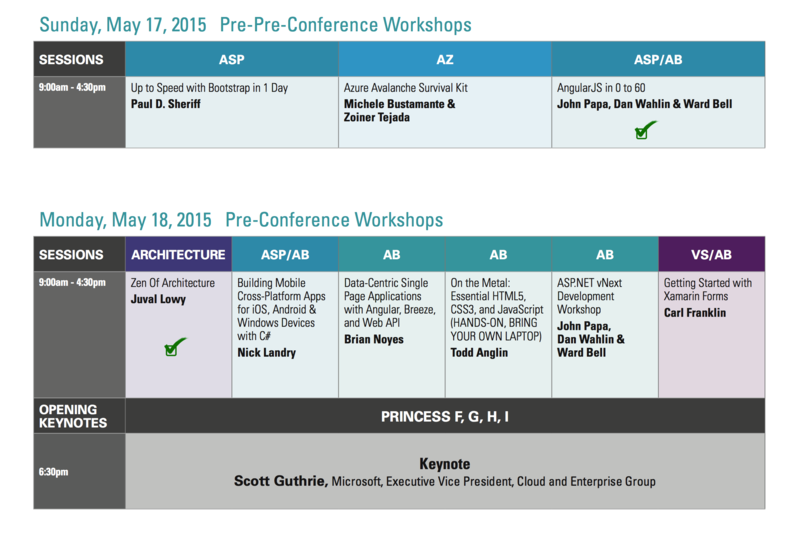 And in case you're reading this and also going to DevIntersection in May let's connect and meet there!